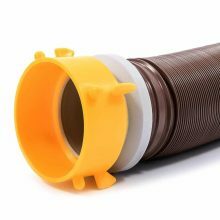 Camco RV Straight Hose Adapter Sewer Fitting connects your sewer hose to the RV. 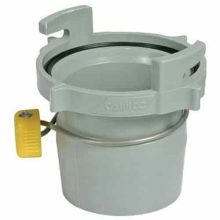 Bayonet style tabs lock the fitting securely to the RV drain valve. 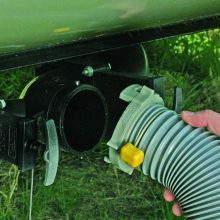 Camco RV Easy Slip Straight Hose Bayonet Adapter helps to connect the hose to the RV quickly with an airtight odor and leak seal. 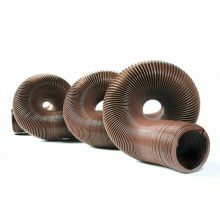 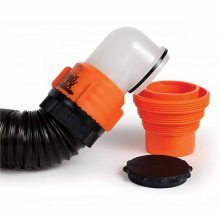 The tapered end of the adapter accepts all 3″ sewer hoses. 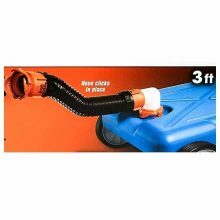 It features non-restrictive walls and allows free flow of the water. 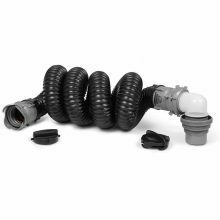 This adapter can be stored with the hose in a standard 4″ bumper. 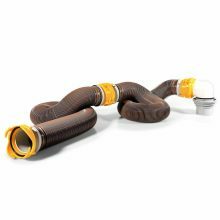 Camco RV Internal Hose Coupler Fitting allows you to connect two sewer hoses together for a longer reach. 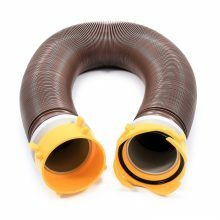 This hose coupler features quick, secure and airtight connection. 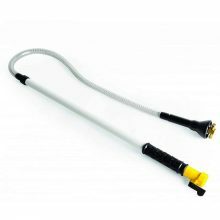 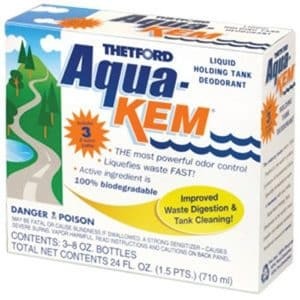 It is non-restrictive and allows free flow of water. 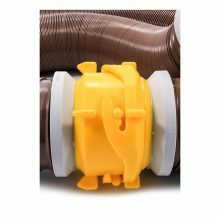 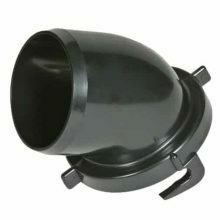 The Camco RhinoFLEX 4-in-1 Sewer Elbow features swiveling translucent elbow for easy connection, a locking ring, a built-in gasket for an odor-tight connection and a 4-in-1 adapter. 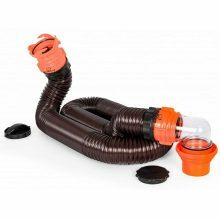 The 90˚ translucent elbow allows you to see when you are done emptying your tank and helps reduce hose kinking, improving the flow of waste from your RV to the sewer inlet. 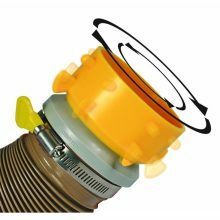 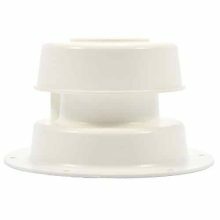 The 4-in-1 adapter is compatible with 3-inch slip or 3-inch, 3-1/2-inch and 4-inch NPT threaded sewer connections. 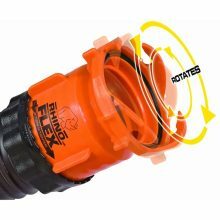 Detachable locking ring allow you to move your sewer elbow and 4-in-1 adapter to a new RhinoFLEX hose if need be. 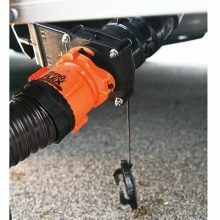 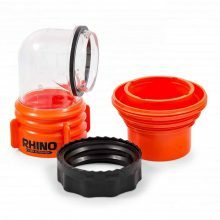 The RhinoFLEX 4-in-1 adapter fits any standard RV sewer connection and secures to your elbow fitting, eliminating the need for weights to keep it in place. 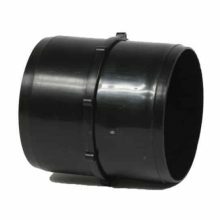 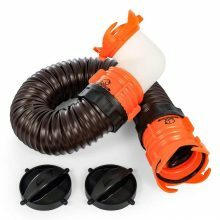 The translucent elbow easily locks into the 4-in-1 adapter, and the elbow is connected to the sewer hose using the included locking ring. 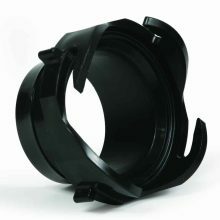 The locking ring and the fitting are threaded in opposite directions and twist together. 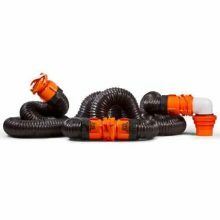 To securely attach the locking ring and translucent elbow to your sewer hose, twist the black locking ring in the unlock direction down the hose 5 or 6 inches. 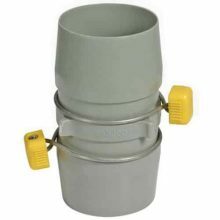 Then, screw on the elbow in the ‘tighten’ direction until it stops. 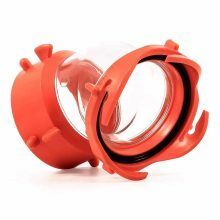 Once the fitting is set, twist the locking ring back up the hose in the lock direction until the teeth at the top of the ring are firmly attached the fitting. 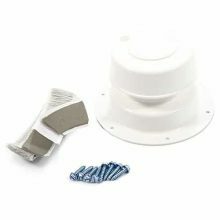 There are arrows on each part indicating which direction to turn it. 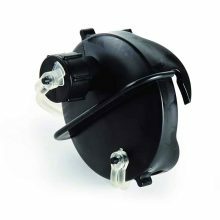 Always make sure to test the fittings and locking rings for a tight fit before emptying your tanks.